The Israeli Occupation Authorities (IOA) have escalated the use of administrative detention policy against Palestinians. 729 administrative detention orders were issued since the beginning of this year, a rights group revealed. The Palestine Center for Prisoners’ Studies said in a statement on Friday that Israeli use of administrative detention have increased by 35% in comparison with last year during which 425 administrative detention orders were issued. 729 administrative detention orders were issued since the beginning of 2016; 296 of those were new orders and 433 of them were renewals of previous administrative detention orders for up to six months, according to the center. The statement pointed out that two Palestinian prisoners’ administrative detention were renewed for eight consecutive times. The highest number of administrative detention orders was in April with 186 orders, followed by 157 during February, 157 in March, and 117 in January. The rights group called on international human rights institutions to immediately intervene and put an end to the Israeli repressive use of administrative detention policy according to which hundreds of Palestinians are held without charge or trial. 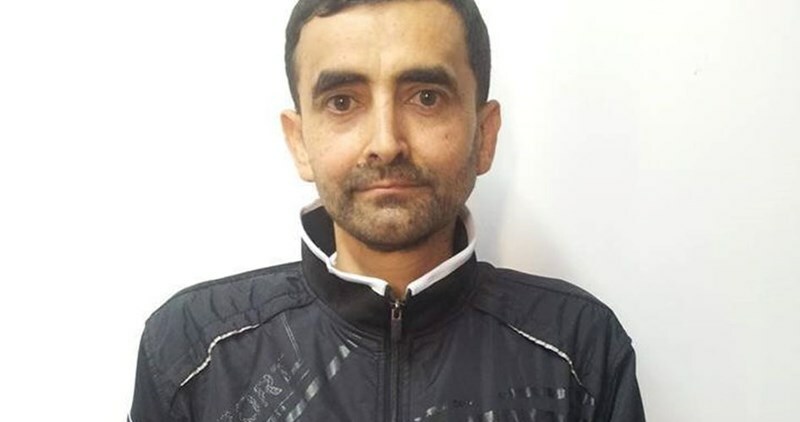 Cancer-stricken Palestinian detainee Bassam al-Sayeh has been refusing to take medicine for eight days running in protest at the arbitrary and exhausting inter-prison transfers carried out by the Israeli prison authorities, his wife said Thursday. Al-Sayeh’s wife, Mona Abu Bakr, said the Israeli prison authorities prevented her from visiting her husband in the Ramla jail under the pretext of the lack of prior coordination. The wife added that her husband has been refusing to take medication for the eighth day running after he was transferred to the Ramla prison clinic. She called for mobilizing solidarity campaigns in support for her cancer-stricken husband. Several human rights groups and lawyers raised the alarm over the striking health downturn rocking the body of prisoner Bassam al-Sayeh, held in Israeli detention for nearly one year. The Israeli army kidnapped, on Friday at dawn, two Palestinians in Silwad town, east of the central West Bank city of Ramallah, and the al-‘Eesawiyya town, in occupied Jerusalem. Media sources in Ramallah said several army vehicles invaded Silwad, searched homes and kidnapped a father of two detainees. 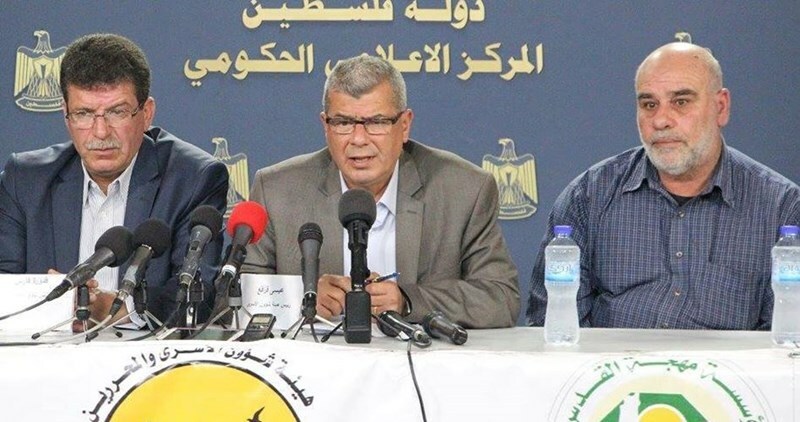 The Palestinian has been identified as Mahmoud Jom’a Najjar, 52; his imprisoned sons have been identified as Mujahid and Abdul-Hamid Najjar. The soldiers violently searched the Najjar family home, causing property damage, and interrogated several persons. 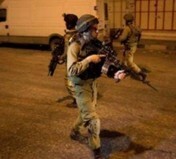 The Israeli Occupation Forces (IOF) arrested at dawn Friday several Palestinians during an overnight raid and arrest campaign across the West Bank. A prisoner’s mother and two prisoners’ father were among the reported detainees. According to local sources, IOF soldiers stormed al-Khalil city and arrested the Palestinian woman Wafa al-Siouri, the mother of Samer al-Siouri, who is currently held in Israeli jails, and Samer al-Siouri, who was killed by Israeli forces. In Ramallah, Israeli forces brutally stormed two prisoners’ home in Silwad town and arrested their father Mahmoud al-Najar. Along the same line, Israeli forces arrested a Palestinian MP’s son from Saida town, south of Tulkarem. 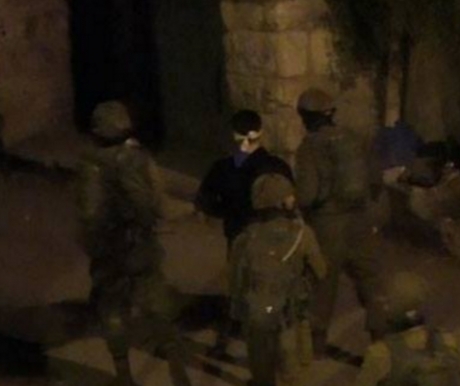 Meanwhile, two brothers were arrested from Bethlehem, south of the West Bank. IOF soldiers carry out almost daily raid and search campaigns throughout occupied Jerusalem and the West Bank, arresting dozens of youths, women, elderly people, and even children as part of the Israeli collective punishment policy. Israeli Prison Service (IPS) transferred MP Marwan al-Barghouti from Rimon jail to an unknown destination five days after his arrival at that prison. Palestinian Detainees and Ex-detainees Committee said, in a press statement on Thursday, that Barghouti was denied his right of contacting captives in other sections within a policy of tightened measures against him. 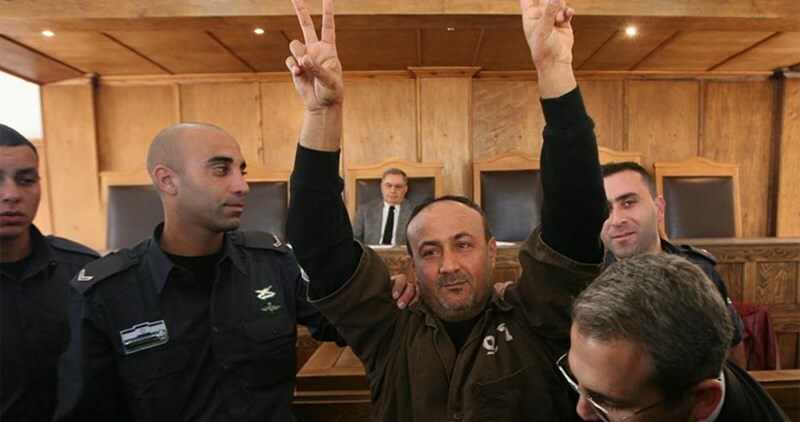 MP Barghouti is sentenced to life imprisonment for five times and additional 40 years. He was arrested on April, 15, 2002 and was held in solitary confinement for two years. Then he was isolated with other captives on Hadarim jail. Barghouti got his PhD degree while in captivity. A campaign has been recently launched to nominate him for Nobel Peace Prize. 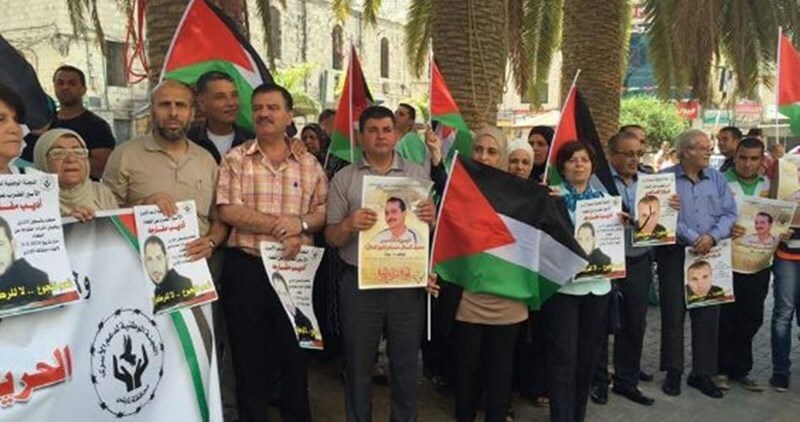 The national committee for the support of prisoners in Nablus staged a sit-in on Thursday in solidarity with Palestinian sick and hunger striking prisoners in Israeli jails. Representatives of Palestinian institutions along with families of detainees and national figures participated in the event. 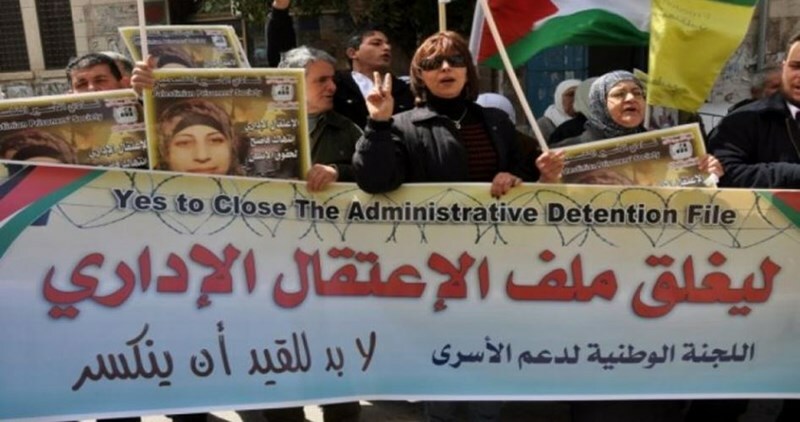 They chanted pro-prisoners slogans and condemned the continuation of the Israeli violations against them. The media spokesman of the committee, Emaduddin Eshtaiwi, said that the Israeli policies against Palestinian captives have been increasing and putting their lives at risk. He affirmed that the Israeli occupation does not respect the international charters and conventions related to human and prisoners rights. Many of prisoners’ health reports were and are fabricated and hidden such as the cases of detainee Bassam al-Sayeh, Sami Abu Diyak, and Saeed Musallam, Eshtaiwi pointed out. He warned the Israeli government of the issuance of the execution law against Palestinian prisoners and demanded the international community to take action in this regard. The Israeli Occupation Forces (IOF) detained a Palestinian youth on Thursday afternoon near the Ibrahimi Mosque in the southern West Bank city of al-Khalil after accusing him of planning a stabbing attack. 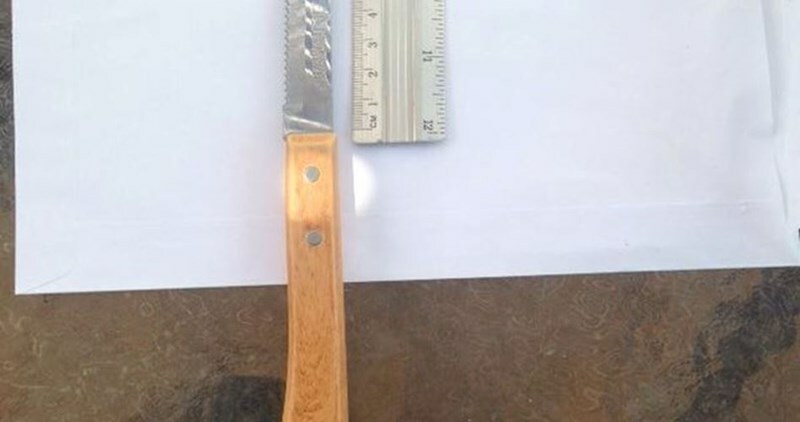 Eyewitnesses affirmed to the PIC reporter that a Palestinian resident of al-Khalil was detained by Israeli forces while trying to enter the Ibrahimi mosque after the soldiers allegedly found a knife in his possession. Earlier Thursday, a 19-year-old Palestinian young woman was arrested for several hours near the Ibrahimi Mosque before being released. Detainees and Ex-detainees Committee, Palestinian Prisoner Society, and Muhjat al-Quds Foundation organized a press conference in Ramallah city where they condemned the administrative detention and discussed the danger of hunger strike consequences on prisoners' conditions. Minister Issa Qaraqe, president of the committee, demanded boycotting Israeli courts for “being unfair and violating Palestinian prisoners’ rights as well as practicing racism and revenge against them”, he said. He added that the committee intends to present a draft law to the International Court of Justice in order to issue a legal edict that would protect Palestinian prisoners and maintain their rights and on the other hand prosecute Israeli leaders for the violation of the prisoners' rights. Qadoura Fares, head of Palestinian Prisoner Society, said that the Attorney General of Israel fabricates charges against Palestinian prisoners especially incitement on social media websites. For his part, Ahmad al-Ouri, the spokesman of Muhjat al-Quds Foundation, affirmed that both captives Fuad Asi and Adib Mafarjeh have entered the 60th day of their open hunger strike without taking any supplements. They went on hunger strike in protest at the illegal administrative detention with no charges or trials based on what is called “the secret file”, he pointed out. Ashraf Abu Sneina, a lawyer with the Palestinian Detainees Committee, has reported that hunger striking detainee Fuad ‘Aassi has ended his hunger strike after reaching an agreement with the Israeli military prosecution. Abu Sneina said the agreement states that Israel will hold him under Administrative Detention for four months, without any additional renewals, and will allow him to call his wife and family today. The detainee went on hunger strike for 55 consecutive days, refused to take any vitamins, and lost at least 20 kilograms, in addition to facing various health complications that put his life at risk. ‘Aassi is in Barzelai Israeli hospital in Asqalan, and has been held under Administrative Detention orders, without charges, since September 9th, 2015. 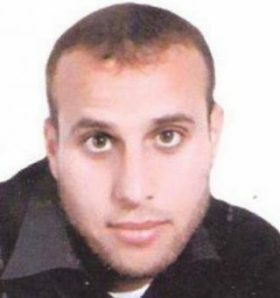 He was first held under a four-month administrative detention order that was renewed to six additional months; under this agreement, he will be held for four months one last time. The detainee was repeatedly kidnapped and imprisoned, and spent four and a half years in prison. The Israeli Salem military court ordered a paralyzed Palestinian detainee under detention for 72 additional hours, and is considering imprisoning him under Administrative Detention, without charges. 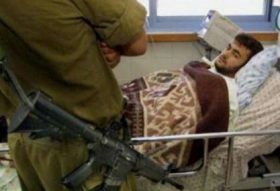 The Palestinian Prisoners’ Society (PPS) said that the detainee, Kheirallah Shareeda, was sent to court in an ambulance, despite health conditions he is facing. The PPS added that the detainee was “subjected to a mock trial,” as he will likely be held under arbitrary Administrative Detention orders, without charges. The court remanded him for 72 additional days, until determining whether the prosecution intends to indict him, or hold him under an Administrative Detention order. Shareeda, from the northern West Bank district of Nablus, was kidnapped on May 21. The Palestinian Prisoners Society (PPS) has reported, Thursday, that Israeli soldiers have kidnapped a Palestinian child, and a man, in two areas, in Nablus district, in the northern part of occupied West Bank. Army opens fire on farmers and shepherds in southern Gaza. The PPS said that the soldiers invaded Huwwara town, south of Nablus, and kidnapped a child from Einabous town, south of the city. The child has been identified as Laith Khamis Hamad, 15. 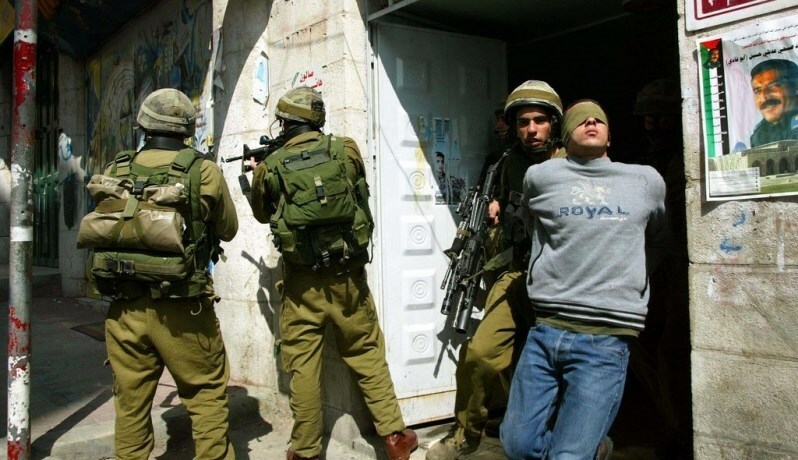 In addition, several Israeli military vehicles invaded Deir Sharaf village, east of Nablus, searched a few homes, and kidnapped a Palestinian man, identified as Mustafa Mohammad Wawi, 30. In related news, Israeli soldiers opened fire on several Palestinian shepherds and farmers, east of Khan Younis, in the southern part of the Gaza Strip – no injuries were reported, but the Palestinians had to leave their lands, fearing additional army escalation. Israeli attacks, targeting Palestinian fishers, farmers and workers, in their lands across the border fence, are carried out on a daily basis, and come in direct violation of all signed agreements, especially the mediated truce deals. The Israeli Authorities moved, Tuesday, the imprisoned senior political leader, legislator Marwan Barghouthi, from the Ramon prison in the Negev Desert, to an unknown prison, just a few days after he was moved there. His wife, Fadwa, said Barghouthi was moved to Ramon prison, just a few days ago, and was prevented from interacting with other detainees in various sections of the detention center. Fadwa added that this was the first time Barghouthi is moved from Hadarim prison, where he was held for ten consecutive years, largely in solitary confinement. 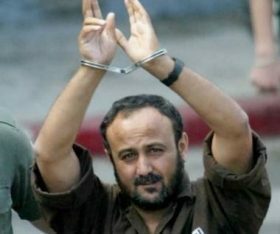 The International Campaign for the Release of Marwan Barghouthi & All Palestinian Prisoners, strongly denounced the Israeli decision, and said it is just the latest in a serious of violations against the detained internationally renowned political leader. It added that the violations against the detainees can never defeat their strong will and determination in the face of constant assaults, physical and psychological pressures. On May 17, 2016, leading Belgian Members of Parliament from across the political spectrum in both the House of Representatives and the Senate announced their nomination of Marwan Barghouthi for the Nobel Peace Prize. 1959: Born in the village of Kobar, in the West Bank, Palestine. 1974: Joins Fatah Party, the Palestinian National Liberation Movement, aged 15. 1978: Arrested for the first time for belonging to Fatah. 1980’s: Founder of Fatah Youth Organization. 1984: Elected President of the Birzeit University Council of Students. 1987: Banished to Jordan. Member of the High Level Committee for the 1st Intifada. 1989: Elected member of the Fatah Revolutionary Council, aged 30. 1994: Returns to Palestine following the Oslo agreements, and is elected Fatah’s Secretary general for the West Bank. 1996: Elected in the first elections of the Palestinian Legislative Council. 2000: Outbreak of the 2nd Intifada. Marwan Barghouthi plays a leading role. 2002: Abducted by Israeli occupation forces from Ramallah. First Member of Parliament to be arrested by Israel. 2004: After having refused to recognize any legitimacy to the Occupation courts, especially to judge an elected representative of the Palestinian people, he is sentenced to 5 life sentences and 40 years in prison. 2006: Heads Fatah list in the general elections whilst in an Israeli jail, and is reelected Member of the Palestinian Legislative Council. 2006: Elaboration of the Prisoners’ Document for national unity, co-signed by leaders of all political factions. 2009: Elected Member of the Fatah’s Central Committee.